So you’ve decided that leasing is right for you. Great! 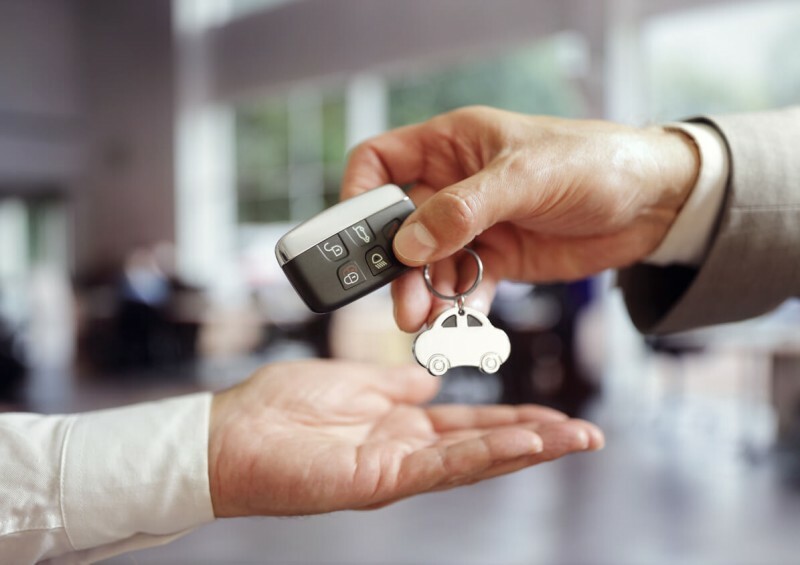 Now let’s have a look at the different stages involved in leasing a vehicle and the things you will need to consider in the process. We all love cars at Complete Leasing, no matter the cost, but it’s important to set a budget and to stick to it when you’re looking into leasing a car or van. Too many people start by looking at vehicles without a set budget in mind, which leads to people over-stretching beyond their financial means. The payments on a leased vehicle are considerably lower than when you finance it using a hire purchase (HP) or Personal Contract Purchase (PCP) agreement. Because of this, some people start with a vehicle in mind that perfectly suits their needs, but then increase their budget significantly by adding unnecessary optional extras, or by going for a more expensive make or model. Having an amount of money in mind that you can comfortably afford each month will help to keep you from acting impulsively and spending more than you originally intended per month. Next, you need to choose the specific vehicle or have a few different options in your head of similar vehicles that you like. We often have new lease deals available from various manufacturers at different times of the year, and by keeping your options open, it is possible to pick up a great deal with us at Complete Leasing. When I was choosing my last lease deal, I knew that I wanted an estate car with a sporty edge to it. I narrowed it down to a few cars like the BMW 320d M Sport, Mercedes CLA, Octavia VRS, Golf GTD, as well as a few others. I found a great stock deal on the Golf, which was much cheaper than the other cars, and it came with plenty of optional extras. I doubt that the same deal is available on the Golf right now, so when it is time for a new lease, I’ll be doing the same thing again. When you are deciding on which car to lease, make sure you ask your Complete Leasing representative what the ‘lead time’ is, or what the length of time until the car will arrive is. This can vary considerably but can be an important factor to consider if you need a car quickly and the lead time is a couple of months down the line. How long do you want to keep the vehicle for? The lease term is usually between one and four years, but there are sometimes variations – it needs to be based on your own personal circumstances and preferences. For example, there’s no point in leasing for four years if you’re the sort of person that gets bored of the same vehicle after a year or two. At the same time, there is no point in leasing for a short term if you’re likely to be happy with the vehicle and will want to keep it for longer. This will lead to you having to pay another deposit sooner than was necessary - purely because you took out the wrong lease term from the start. Also, consider your life plans over the next few years and how these could affect your ability to pay for a leased vehicle. The birth of a child, the loss of a job or promotion could affect the amount you’re able to pay for a lease vehicle both positively and negatively, so it’s worth looking at your personal circumstances to see what is likely to change in the future and factor this in to the length of the lease you choose. How much mileage are you likely to do each year? In my previous blog ‘Is Car Leasing Right For You?’ I discussed the importance of getting the mileage right. I always advise my clients to look at previous MOT certificates and service records to see how many miles they have done over the past few years. It’s not worth underestimating the mileage you will do just to get a cheaper lease deal. This is a false economy, as you could end up paying an enhanced mileage rate if you go over the agreed mileage rate. Many people get hung up on mileage and while it is worth carefully considering how much you travel, you can usually increase the mileage amount with your finance company - providing its six months before the end of the contract. Read our full guide Car Leasing and Mileage for more information this. How much deposit do you want to put down? The deposit is usually between one month and nine months of the cost of the lease - you can choose how much you’d prefer to pay upfront. What you’ll see when you look at a lease deal is the amount of deposit plus the following monthly payments for the length of the lease. You’ll see this written as something like 6 + 23 or 9 + 35 or many other variations. The first figure is the number of months’ lease you need to pay upfront in the first month as a deposit, and the second number is the number of remaining months you will pay the lease for. For example, 6 + 23 would be 6 months’ worth of monthly payments paid upfront, followed by 23 monthly payments left to pay off. This would be a two-year lease with the first monthly payment taken from the deposit. It’s worth remembering that the more money you put down as a deposit, the less you will usually pay per month for the duration of your lease as a result. Do I Need a Maintenance pack and What Is It? Replacement of tyres and other wear and tear items. MOT (depending on the length of your contract). A maintenance pack is optional, and you can find your own approved garage and pay for maintenance yourself if you wish. You need to remember that the garage and all parts used need to be approved by the manufacturer in order to ensure the vehicle’s warranty remains in place. Alternatively, you can take out a maintenance pack as part of the leasing contract where the cost of the maintenance is spread out over the term of the lease. You pay a fixed monthly amount for the lease and the maintenance each month. The benefit of this is that there are no large, unexpected payments for tyres, wear and tear items or servicing - it is evenly spread out into fixed monthly payments, making it easier to budget for. Routine servicing that is recommended by the manufacturer. Tyres – providing they need replacing due to mileage and NOT due to damage caused by a puncture. Replacement of wear and tear items such as wipers, bulbs, batteries, exhausts, and brakes. MOT – if your lease exceeds three years. Damage caused to the windscreen (this can often be covered by your own insurance). Putting the wrong fuel in. Damage caused to the vehicle due to misuse or accident. Is a maintenance pack worth getting? The benefits of a maintenance package are that it covers all routine servicing, maintenance and wear and tear with a fixed monthly amount. This spreads out the costs into monthly amounts, which is much more manageable for most people, as there is never a large bill to contend with. The cost of a maintenance package will vary due to the type of vehicle, length of lease and the mileage covered. Personally, I have always taken out a maintenance pack, as I love the feeling of not having to pay anything when I take my car for a manufacturer’s service or get the tyres replaced! Now you’ve decided on the car you want and the terms of your lease, it’s time to place your order with your Complete Leasing representative. This can all be done online or by speaking to us on the phone. You’ll be asked to complete a short financial application form and then your order is placed. We are always available to guide you through the leasing process and to offer the best advice possible. You can give us a call, email or contact us on Facebook, Twitter, Instagram or LinkedIn.